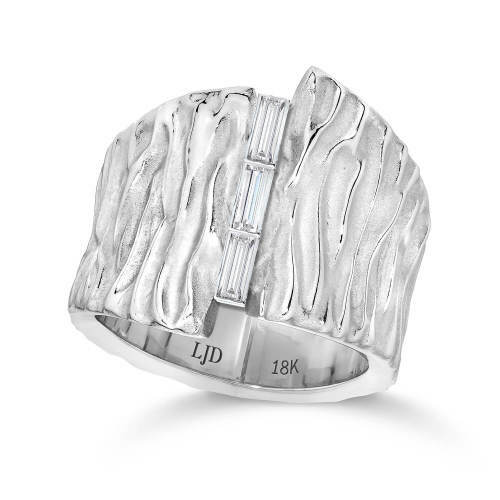 This non traditional wedding ring is made in 18 kt white gold and set with 3 baguette-cut diamonds. Non traditional wedding ring crafted in 18 kt white gold set on top with 3 baguette-cut white diamonds. Available in White or Yellow Gold. Sizes 5, 6, 7, 8, 9, 10.